My run club family has expanded and thanks to regular trail running and fun runs, we have now a weekly night run. And this is quite essential since those who barely can rise in the morning can still do their required workout in the evening. But, what I find more significant is the fact that family shares the same passion for healthy living. 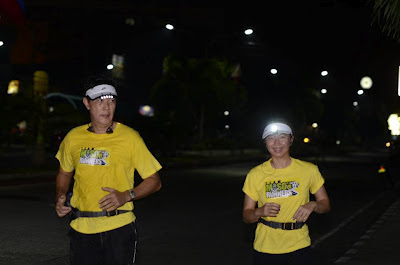 And, this is quite evident when a fellow running mate had to bring his daughter or son to join us in an easy night run. Good thing though that we have a support system that tags along with us to make sure that the kid can just hop to the vehicle for required stop. It is unsurprisingly encouraging that family shares the same culture, so, the kids too can sustain the passion.